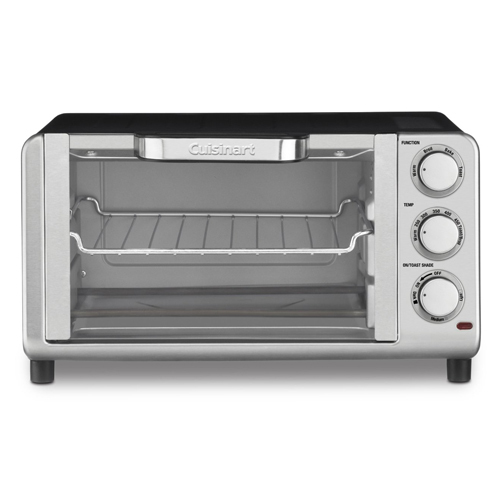 The Cuisinart TOB-80N is a Compact Toaster Oven Broiler which decorate the kitchen. It has 5 key cooking functions includes Toast, Bake, Broil, Pizza and Keep Warm. The size is too large that it can store 4 slices of bread or 9" pizza. The TOB-80N has Toast shade control dial for toast and easy clean n0onstick interior. The Compact Toaster Oven Broiler has many exciting features for users of all types. You can extend the lifetime of your Compact Toaster Oven Broiler with the purchase of a FactoryOutletStore Factory Protection Plan. 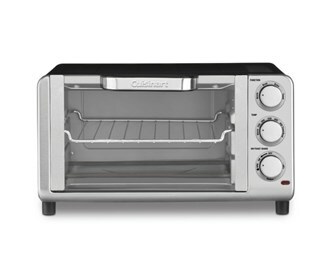 See the Compact Toaster Oven Broiler gallery images above for more product views. The Compact Toaster Oven Broiler is sold as a Brand New Unopened Item.